Noah Michaud, 22, climbed the fire escape to get into his former girlfriend's apartment, where he stabbed her new boyfriend. AUGUSTA — A 22-year-old Oakland man will spend an initial six months of a five-year sentence behind bars for stabbing his ex-girlfriend’s new boyfriend in the leg with a knife. A judge on Thursday sentenced Noah Michaud to serve six months of a five-year sentence and three years’ probation. Michaud was ordered to pay $300 restitution for damages he caused in his former girlfriend’s apartment and to attend the certified batterers intervention program and anger management counseling. 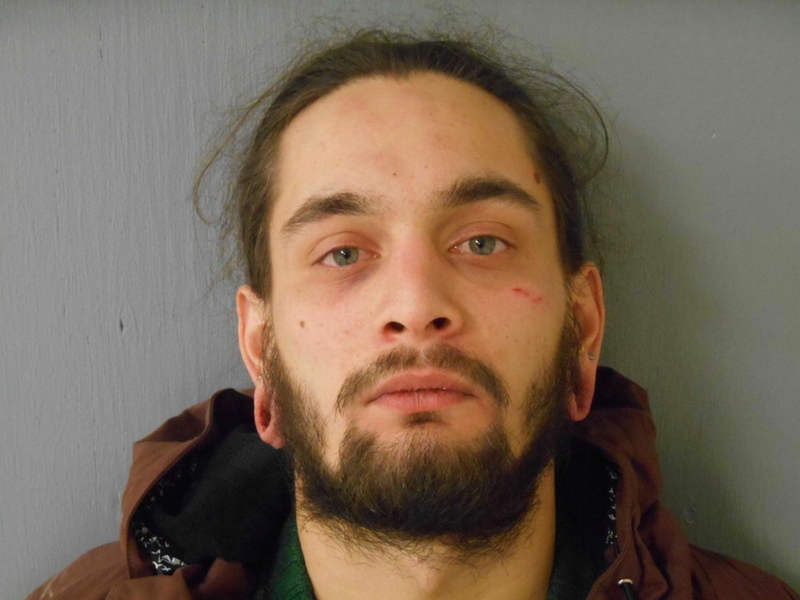 Michaud pleaded guilty to aggravated assault, aggravated criminal mischief, domestic violence assault and criminal mischief, all of which occurred Jan. 8 in the woman’s Main Street apartment in Waterville. The prosecutor, Assistant District Attorney Kristin Murray-James, said Michaud had suspected his former girlfriend was with another man, but no one answered the door when he knocked. He then climbed the fire escape to her apartment and found the two together in bed and pulled out a knife and stabbed Matthew Davidson before throwing the woman around and smashing her television and DVD player. Murray-James said Davidson has not cooperated with the prosecution, but the judge noted that Davidson’s wounds were stitched up and that they were not life-threatening. Michaud had no prior criminal record. • Michael E. Brown II, 36, of Augusta, burglary and theft by unauthorized taking or transfer Oct. 28, 2014, in Winthrop; two-year jail sentence, all but 60 days suspended (credit for 60 days served), $75 restitution. • Jessica M. Logan, 30, of Oakland, operating while license suspended or revoked Dec. 14, 2014, in Oakland; 15-day jail sentence, $500 fine. • Samantha Tupper, 23, of Augusta, unlawful possession of heroin Aug. 23, 2014, theft by unauthorized taking and violating condition of release Feb. 28, 2015, and violating condition of release and allowing minor to possess or consume liquor Nov. 22, 2014, all in Augusta; 90-day jail sentence, $400 fine.